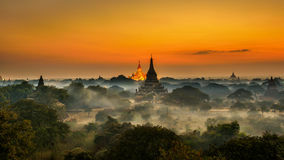 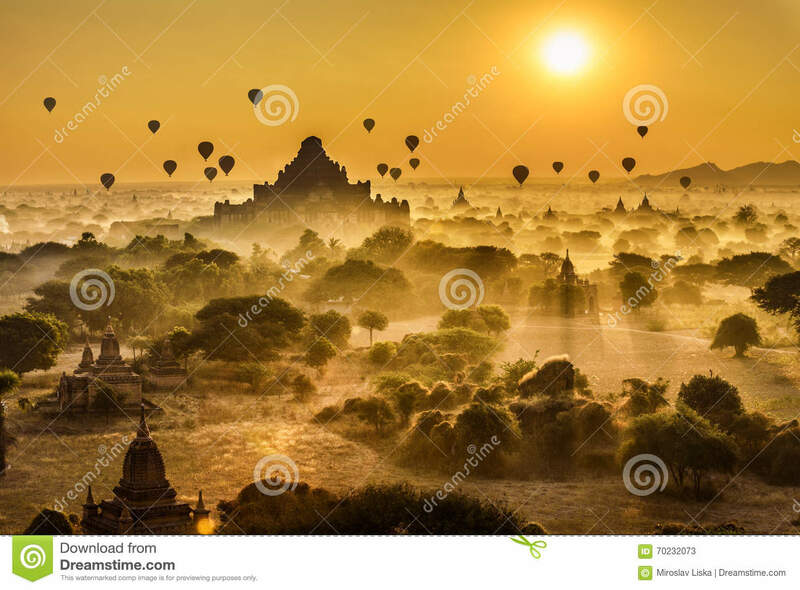 Scenic sunrise above Bagan in Myanmar. 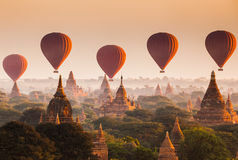 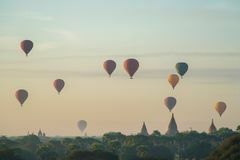 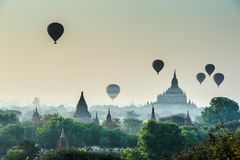 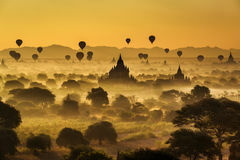 Scenic sunrise with many hot air balloons above Bagan in Myanmar. 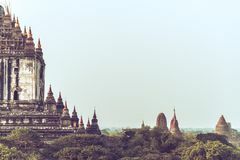 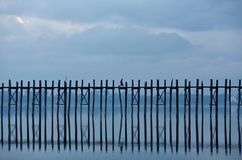 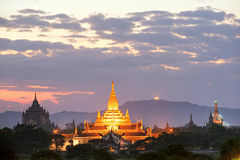 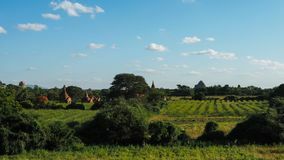 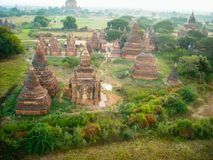 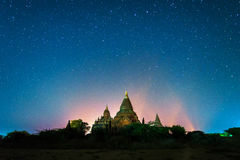 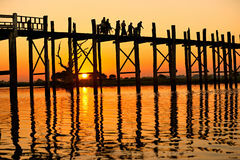 Bagan is an ancient city with thousands of historic buddhist temples and stupas.